Russia: the largest country in the world that has brought us ballet, marvelous architecture and some of the deepest lakes you could ever imagine! Situated in northeastern Europe is the massive country of Russia. With over 144 million residents, it is the ninth-most populous nation in the world. Russia offers you a rich ballet scene, beautiful architecture and plenty of history. The top attractions include the State Hermitage Museum in Saint Petersburg, Red Square in Moscow and Grand Palace in Peterhof. Get ready for a memorable holiday experience, because cheap flights to Russia are now available for a limited time! The capital, Moscow, is home to Sheremetyevo International Airport (SVO), which is a 55-minute drive or a 45-minute train ride from the city centre. SVO serves multiple airlines, including Aeroflot, KLM and Czech Airlines. 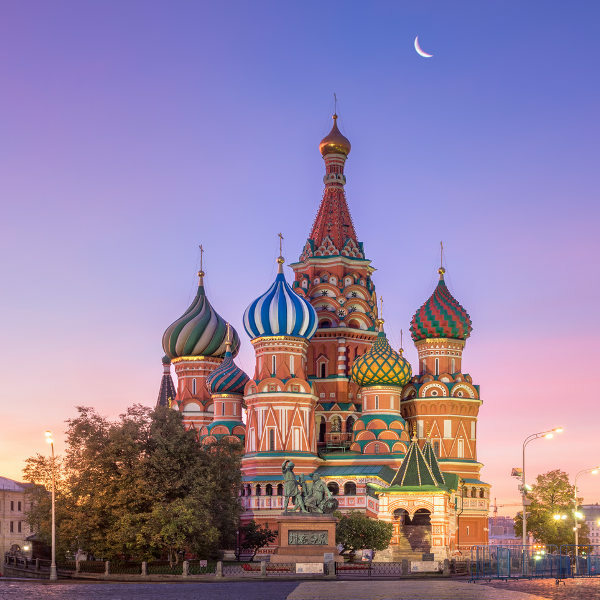 Popular connecting flights to Moscow depart from Johannesburg and Cape Town. The flight duration from Johannesburg to Moscow is approximately 14 hours, 55 minutes. Russia is home to some of the most impressive architectural achievements in history. Take a tour and admire attractions like the magnificent Winter Palace in St. Petersburg, Mamayev Kurgan in Volgograd and Saint Basil’s Cathedral in Moscow. The arts and entertainment scene in Russia is known throughout the world. Indulge your senses in amazing performances at venues such as the Bolshoi Ballet and Opera Theatre in Moscow and the Mariinsky Opera and Ballet Theatre in Saint Petersburg. With a multitude of biospheres, national parks and nature reserves, prepare to discover these wonderful treasures in Russia. These gorgeous landscapes include majestic scenes like the Golden Mountains of Altai, Lena’s Stone Forest and Lake Baikal. The summer (June – August) is definitely the most popular time to visit Russia. If you plan to travel to this nation during this period, be prepared to book your hotel rooms well in advance, pay higher accommodation costs and explore Russia’s attractions with crowds of tourists. During late-spring (May) and early-autumn (September), temperatures are still moderate while tourist volumes are low, making this a comfortable time to visit Russia. While winter (November – February) brings the coldest temperatures, if you pack appropriate clothing, you’ll be sure to enjoy Russia’s cities along with the lowest hotel deals. This season is additionally the perfect time for skiing, with many ski resorts throughout the country. Eastern Russia is more popular for its national parks and nature reserves than its cities and towns. You are welcome to visit this region any time of the year. With magnificent cities in its European region and breath-taking landscapes in its Asian region, Russia is an amazing destination that you should definitely add to your bucket list. It is a nation so vast that it covers nine time zones and has coasts on the Atlantic, Pacific and Arctic Oceans. Russia even boasts 23 UNESCO World Heritage Sites, 40 UNESCO biosphere reserves, 41 national parks and 101 nature reserves! The capital of the largest country in the world, Moscow, is best known for its magnificent architecture. Make sure to visit sites like the beautiful St. Basil’s Cathedral. Explore the huge Red Square, which is home to the GUM, one of the largest shopping centres in the world. Other sights include the Kremlin, the Moscow Zoo and the Bolshoi Theatre. Saint Petersburg sits on the coast of the Baltic Sea. Famously known as the Venice of the North, discover the many waterways running through the city, with 342 canals offering many vantage points. While it isn’t Russia’s capital, it is the country’s cultural heart, with opera and ballet shows at the contemporary Mariinsky Theatre, and numerous wonderful artworks at the State Russian Museum. 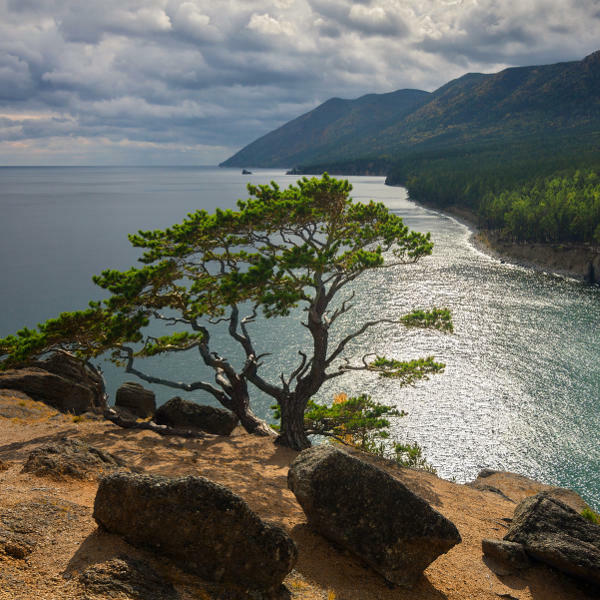 In the tremendous region of Siberia in northern Asia, visit the incredible Lake Baikal, one of the deepest in the world. The eastern part of Russia remains largely undiscovered. Take advantage and explore this exotic and breath-taking environment in the largest country in the world. Compare several airlines and book your cheap flights to Russia online at Travelstart! South African passport holders will not need a visa to enter Russia for stays lasting a maximum of 90 days. The Embassy of South Africa is in Moscow. • Avoid walking outside alone at night. • Keep your valuables in a secure place and out of sight when in public. • Produce your money only when you are paying to avoid drawing unwelcome attention. • Keep your identification papers or at least a copy ready if challenged by the police. • It is best to travel to tourist attractions in a group.